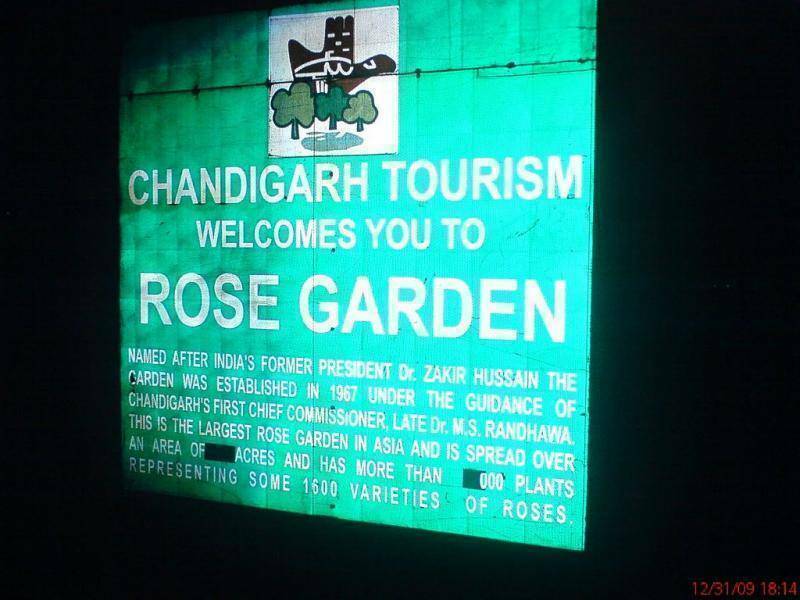 The Rose Garden is a major land mark in Chandigarh. Located in secor 16, Zakir Hussain Rose Garden is the perfect place to head to in early morning or late evening. The Rose Garden is Asia's largest Rose Garden and is spread over an area of 40.25 acres and has 825 varieties of roses. These have been planted on beautifully carved out lawns and flowers beds. Fountains are the other attraction of this garden. The garden was established in the year 1967 under the guidance of the first chief commissioner M S Randhawa and has been named after India`s former President Dr. Zakir Hussain. There is a small snack bar next to the parking area where refreshments can be purchased. The place serves fruit juices, cold drinks and fast food like patties, burgers and also packaged wafers. In February, the garden buzzes with excitement and activity in preparation for the Rose Festival and Annual Festival of Gardens which is held in March, a major event of Chandigarh.